Welcome to Stone Plus Inc.
Stoneplus Inc. has recently relocated from Millbrae to San Bruno in March, 2013. Our unique showroom is open to the public. Stoneplus is a natural stone business that features granite, marble, tile, mosaic and quartz for all your natural stone and surfacing needs. Stoneplus is a leader in custom made natural stone fabrication as well as installation of kitchen counter tops, bathroom vanity tops, shower surroundings, fireplaces and flooring. 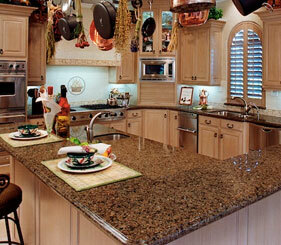 In addition, Stoneplus will handle the demolition of your existing kitchen counters and more. Stoneplus pride themselves on their expertise in the fabrication of natural stones and custom edges to meet your desires. Thank you for a very fine job. We will be more than happy to recommend you to any of our 800 plus church members. Thanks again.. Thank you for the beautiful job done in our kitchen. The granite counter and tile back splash look beautiful. Lucky did a careful and wonderful job. We will recommend your business to all our friends!. Got my granite counter top installed today. The results came out better than expected. Exceeded my expectation and will definitely return in the future..